India’s Rank in various Indexes 2017-18. India’s Rank in Different Indexes 2018. 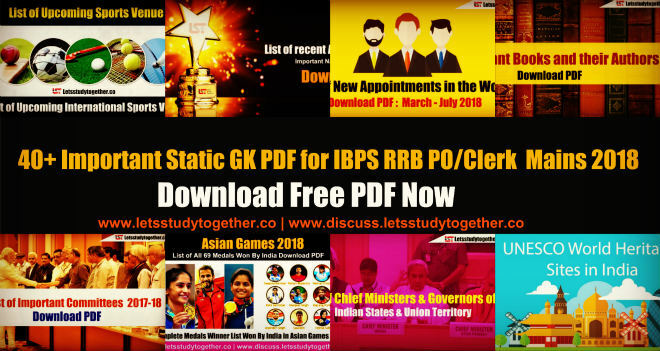 If you are preparing for SBI, IBPS, LIC, SSC, Railway and others competitive Exams, you may find some questions related to India’s Rank in various Indexes. Questions based on India’s Rankings in various Indexes form a part of the General Awareness section of many Govt. and Bank exams. World Inequality Index 2018 Oxfam 147th The Top 3 Countries include: Denmark, Germany, Finland. Human Capital Index World Bank 115th Singapore topped the poll which is followed by South Korea, Japan, Hong Kong and Finland. Global Innovation Index 2018 The World Intellectual Property Organisation (WIPO) 57th The Top 3 Countries in Global Innovation Index are: Switzerland, The Netherlands and Sweden. Global Hunger Index 2018 The International Food Policy Research Institute (IFPRI) 103rd In 2017, India was ranked at the 100th position. Global Liveability Index 2018 The Economist Intelligence Unit (EIU) Delhi was ranked at 112th position and Mumbai fetched 117th spot. Austria’s capital Vienna has been ranked as the world’s most liveable city, displacing Australian city of Melbourne. E-Government Development Index (EGDI) 2018. UN 96th India has jumped 22 places to 96th rank to break into the top 100. Denmark Tops. Global Competitiveness Report 2018 The World Economic Forum 58th The US topped the list which is followed by Singapore and Germany at the second and the third positions respectively. Family-Owned Business List The Credit Suisse Research Institute (CSRI) 3rd India ranks third globally in terms of number of family-owned businesses with 111 companies having a total market capitalisation of $839 billion. Ease of Doing Business Index 2017 100 The list is topped by New Zealand followed by Singapore, Denmark. Global Competitiveness Index 2016 39th The list is topped by Switzerland, followed by Singapore and USA. Global Hunger Index 2016 100th The list is topped by Argentina, followed by Bosnia & Herzegovina and Switzerland. Global Slavery Index 2016 4th The list is topped by North Korea, followed by Uzbekistan and Cambodia. Global Talent Competitiveness Index 2017 89th The list is topped by Switzerland, followed by Singapore and Luxembourg. Intellectual Property Index 2017 43rd The list is topped by USA, followed by UK and Germany. Logistics Performance Index 2016 35th The list is topped by Germany, followed by Luxembourg and Sweden. Economic Freedom Index 2017 143rd The list is topped by Hong Kong, followed by Singapore. World Risk Index 2016 77th The list is topped by Island state of Vanuatu, followed by Tonga and Philippines.